Hi there, I did some tests last week and starting seems to be a little better now. I started by setting the table to the numbers you suggested. To get the correct AFR I had to set master fuel to 130. The car would barely start when cold, but once hot I wasn't able to get it running again. My master fuel is now at 150, crank enrichment is 30 and hot restart is at 10. With these settings it will start after 3 or 4 times cranking the engine for a few seconds (hot and cold). The first fuel row goes from 30 till 45 and gives me around 14.5 AFR, to help AFR in idle I set the first ignition cells to around 16. The engine revs perfect and drives smooth around the parking (not allowed on road yet). The MAP sensor (GM 3 bar) reads 103 kpa when the engine is off and 65 kpa in idle. I set clamp to 65. I find it strange that I have to set the master this high just to get is started, and I still have the feeling that I`m missing something. The engine is a 1.8L 8V 4cyl, running a T28 turbo, 500cc genesis injectors @ 3.5 bar fuel pressure (stock pump feeds a sump with a bosch 044). Running group injection and a distributor and single for spark. Thanks for still supporting such a old product, many companies could take a example from that! Ok, thanks Simon. Going to try that! Looks like a very fun car to drive. Love the ITB setup! Ok thanks, I'll do that. Is it beneficial to set the master fuel as low as possible or should I just leave it at 110 and lower the table from there? To make sure adjustments can be made, I assume crank enrichment needs to be set somewhere in the middle, then set master fuel to a value on which the engine starts, followed by lowering the table to get a acceptable AFR. Is this a good approach? This morning I tried setting Crank enrichment to the smallest number possible (30) which should give the most fuel while cranking. Still wouldn't start. After this I tried setting the master fuel back to 115. Now she started but ran way to rich. Only after setting it back to 65 the engine started to ran normal again. Should I set the master at about 80 and just lower the entire table a lot? Wide-band lambda on G1 Linkplus? 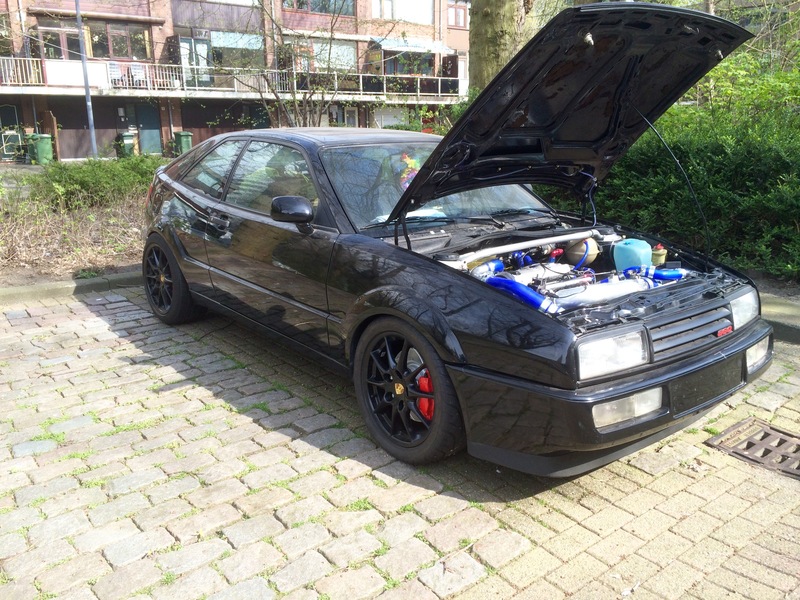 Hello, i have a VW corrado with a wire-in Linkplus ems. I wan`t to replace the standard lambda sensor to a wide-band version. Is this possible without modifications to the ecu? Question 2: I have the ecu connected to a laptop, which is connected to a in-dash touchscreen. In the manual it says yould should not leave the ecu connected, because the cable can work as a antenna and interfer with the ecu. I like to have the meter display on while driving. What can i do, so that the cable doesn`t influence with the ecu.